Devdutt Pattanaik’s latest book, Shikhandi and Other Tales They Don’t Tell You is a collection of 30 stories about gender and sexual identity – Shikhandi, who was born a woman but raised as a man, Krishna, who became a woman for one day to become wife to a doomed man, Chudala who became a man so that her husband would accept her as a teacher, and more. The book starts with 2 short essays: ‘Appreciating Queerness’ and ‘The Discovery and Invention of Queerness’. Pattanaik’s definition of Queerness is this– “Queerness questions what constitute male and female.” This definition set the tone for the rest of the book, which seeks to explore, not assert. Both essays are written in very simple language, yet are meticulously detailed and contain many examples to support their message, which is simple: the idea that “Males and females are distinct and different, and each must behave in a certain specific manner, otherwise they are aberrations against nature!” is a relatively modern view. By contrast, ancient stories from several different cultures – Hindu, Buddhist, Jain, Greek, Chinese, and many others – feature human beings who question their gender identity and test the boundaries of sexual behavior, and this behavior is not considered illegal or immoral. Such explorations of one’s identity, and one’s personal choices, were accepted or rejected, celebrated or ignored, frowned upon or appreciated – but NOT punished or ridiculed or banned. In other words, earlier cultures were much more open-minded, and our current society is much more narrow-minded. The 30 stories that follow are meant to serve as examples that prove this point. Clearly, Pattanaik has thoroughly researched the subject, and is known for presenting his researches in non-academic language that anyone can understand. 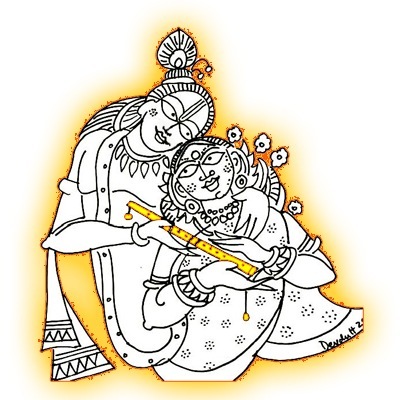 This is Pattanaik’s biggest strength, and it is the reason, I feel, for his books’ popularity. There are stories not only from the “official” texts like the Mahabharata and Puranas, but from folk tales, temple lore, oral traditions from different parts of India etc. Some of these were stories that were completely new to me, and I enjoyed reading them, though I wish Pattanaik had fleshed them out a bit more (e.g. ‘Urvashi’, ‘Pramila’, ‘Vijaya’). 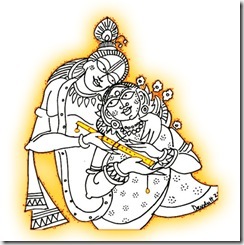 Others have been explored by the author in his other works: Jaya and Sita, for example. The theme of the book is a very interesting one, and one that deserves a book all to itself. It is so true that the majority of us were never introduced to the more “subversive” topics that are explored in our mythology. Instead, we have only read/seen simplistic, sanitised versions where everything is neatly divided into black and white. Reading these “tales they don’t tell you” is thus, both engrossing as well as necessary. We can only hope that the Shiksha Bachao Andolan does not decide to “protect” us from its corrupting influence! And then there are the images. 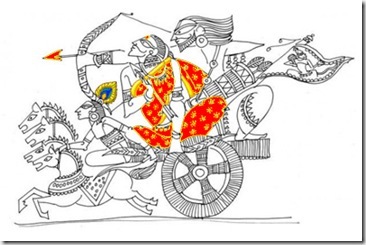 Devdutt Pattanaik is an accomplished artist, and his drawings are my favourite parts of his books. Some might feel that he oversimplifies matters sometimes, and I did wonder, with some of the stories, whether Pattanaik’s own “liberal moderate” views may have influenced his retellings (e.g.’Chudala’) . I read this book in one go, cover to cover, which was a mistake – at the end of it I felt like I had read one of the Navneet Guides that students are so fond of reading before their exams, because these Guides present ideas in a set format –statement, example, example – that is easy to remember and regurgitate in examinations! But maybe I’m being too finicky. After all, the simplicity of Pattanaik’s books is precisely why culturally clueless urban brats like me read and appreciate them in the first place. 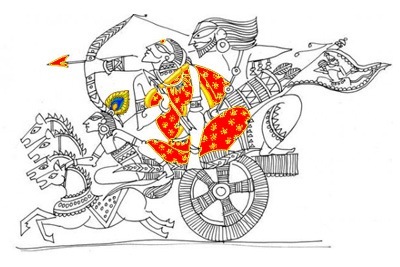 Still, Pattanaik’s book The Pregnant King – which happens to be his only work of fiction but is inspired by many of the same stories narrated in Shikhandi and Other Tales They Don’t Tell You – is a much more readable and enjoyable exploration of the subject of queerness. So if you’re looking for a great read on the subject, that’s the book I would recommend… this one would come a close second. You have certainly piqued my curiosity … and your reference to Navneet Guides is marvelous! Lol…. This review has made me want to read the book ! Looks so interesting! I, too, enjoyed Jaya. I’ve been meaning to read Sita for a long time… it’s been lying in my wishlist for ages! I have always been of the belief that gender is very fluid. And to simplify that and use relevant stories as examples seem like a great idea to me. Great review! Will certainly try to get my hands on this one. I read the book . Agree with you on over simplification or the urge to show certain instances as queer. Thanks for the appreciation, A Bisht!